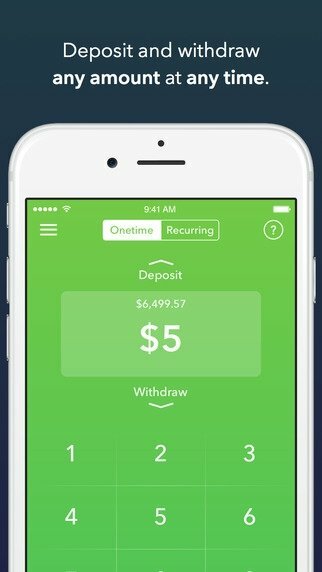 Controlling your investments is now easier than ever thanks to Acorns, one of the most highly acclaimed applications of the year 2014. 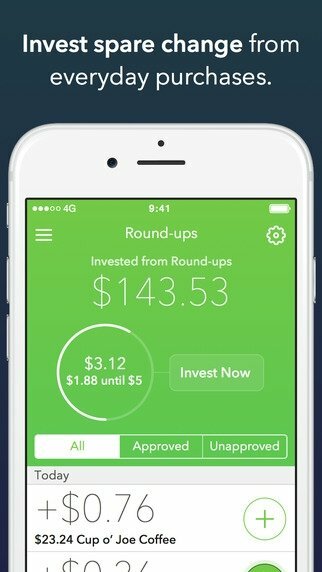 With the latter installed, you'll be offered simple pieces of advice to invest your money without having to pay too much attention. 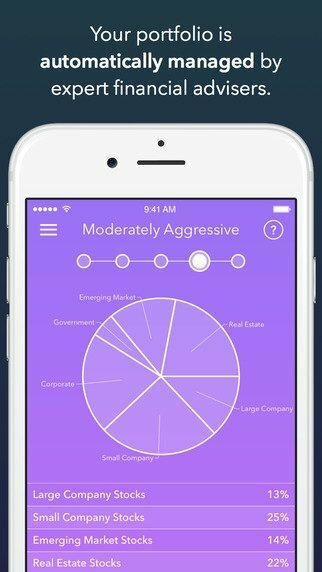 Keeping things short, a stock broker for your iPhone. Smart investment (purchase cheap and sell expensive). 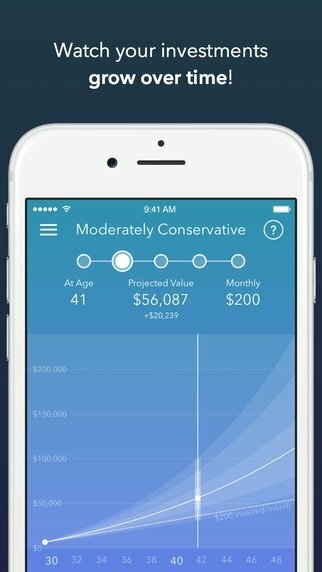 Lower fees than hiring a real-life stock broker. 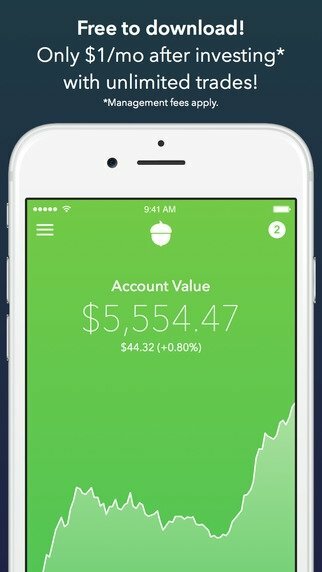 Acorns invests diversifying your capital, rebalancing your portfolio in market fluctuations and making low-cost investments.